Also see - Best Cydia sources for iOS 8. SaveGram helps you to save posts from Instagram. It makes photo saving very easy. You just have to select a post and tap the new “Save” option to save the photo or video to your Instagram album. SaveGram is built to be lightweight and tightly integrated with Instagram's existing functionality. 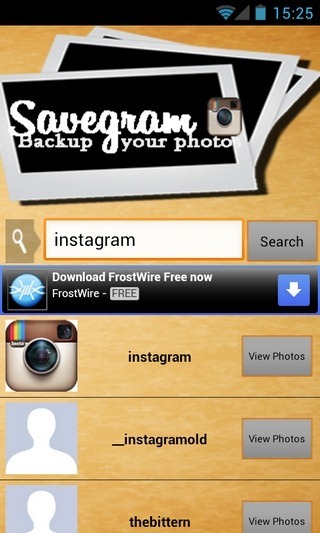 SaveGram is a popular Cydia app and can be found on every Instagram lover's iOS device. It is updated regularly and is worth to download. Smart Tap allows you to turn on the screen by double-tapping it! SmartTap gives your iPhone, iPod or iPad a new quality feature: Turning on the screen by double tapping it while its completely off! This was first added to android. And when android users started bragging about it was developed for iOS too. By downloading Smart Tap Cydia app you can also use other gestures, like slide up from the bottom or slide down from top of the screen while its off, and have it perform a different action like, unlock the device or launch a particular application. Smart Tap gives your power and home button a rest, since you can both turn on, unlock and lock the device by double-tapping the screen. This proves useful when your power button is living its last moments or dead and you don't have much time to visit the Apple store. Smart Tap comes up with a cool pocket touches detection that prevents double-taps from being detected while the device is in your pocket, purses or other places. So just chill, it won't activate when you don't need it to. Overall the tweak is cool but it consumes a little bit more battery of your iOS device. So turn it off when you are in battery saver mode. See - Download Facebook videos on iPhone using Cydia. Springtomize 3 is the ultimate utility for your iOS device. It's the only customization tweak you'll ever need. It features plenty of options to customize even the smallest aspect of your device(s). Every single option includes a brief explanation of its effect, making it very easy to use. Springtomize has been very useful and popular Cydia app. Springtomize 3 is the third updated edition of SPringtomize series. Earlier Springtomize 1 and 2 were released. 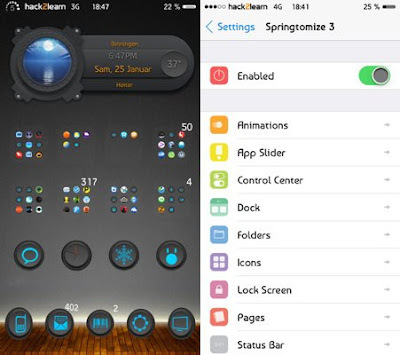 Springtomize 3 is especially developed for iOS 8 and above. It is a top Cydia app that you should download if your like customizing your iPhone, iPad or iPod touch. 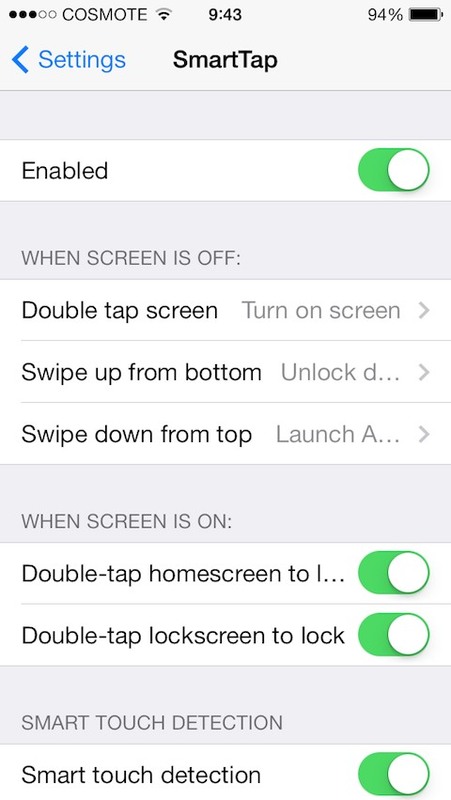 This app will allow you to customize springboard, lockscreen, notification bar, status bar etc. easily. 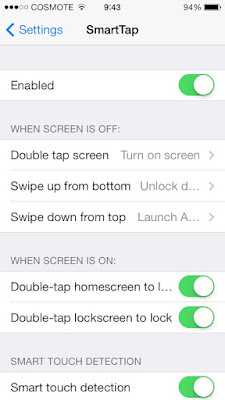 This app provides popular Cydia lockscreen tweaks. After downloading it use "Configure" options from "Settings" to configure the app. Have you ever watched a message send and wish you could cancel it due to some mistake or otherwise? Well after downloading Send Delay Cydia app you can! 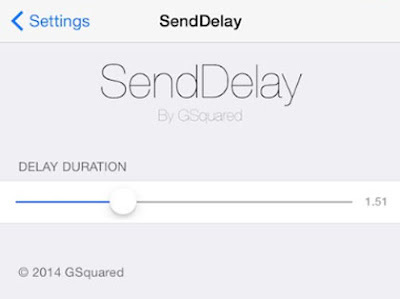 This top Cydia app enables you to cancel your message from being sent for a certain duration after you hit the send button. This supports messages sent through the quick reply interface as well. Just download it and use the "Configure" options from "Settings" to configure it and get rid of all the regrets for sending a stupid message. Hopefully fixed the 'not sending' issue for some. Stealth Cam is another top Cydia app. You can use the Camera app to take photos or shoot videos with the screen off. To use, press the sleep button when in the Camera app, then use the volume buttons as the camera shutter button. Also, you can start recording a video using the screen first, then press sleep to continue recording with the screen off. So these were some of the top Cydia apps for iOS 8. Do try these apps and do check the page again as I will update it with more cool apps.